Oklahoma Connection | Mesta came to Oklahoma with her father, William Skirvin, and grew up in the historic Oklahoma City landmark Skirvin Hotel. 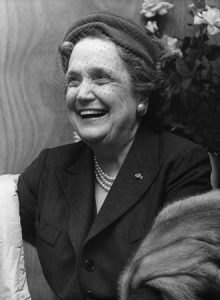 Perle Mesta’s “most memorable” party was given in London, England, in 1953 and included members of the royal family, movie stars, diplomats, and generals. Scotland Yard guarded the jewels of 125 dinner guests and another 575 dance guests.